GreenPrint Software - Support for Xerox. GreenPrint offers Xerox® Solid Ink customers unlimited, free copies of GreenPrint's paper and ink saving software. GreenPrint software for Xerox® Solid Ink Edition can be used by anyone in your organization with Xerox® Solid Ink devices at absolutely no cost. Installation instructions for Individuals and IT Managers & Administrators. Answers of your common questions. Download GreenPrint guide, security overview, etc. Before downloading and installing your GreenPrint software for Xerox® Solid Ink Edition, please review the pre-requirements below. GreenPrint requires the Microsoft .NET Framework 3.5 SP1 to be able to run on your computer. You can check to see which version of the Microsoft .NET Framework is installed on your computer by going to Control Panel > Add/Remove Programs (In Vista: Control Panel > Programs and Features). Where can I download .NET? Download .NET 3.5 SP1 from Microsoft official wesite. Save it on your hard disk and double click to install. GreenPrint installation requires an Administrator account in Windows. If you don't have an administrator account, contact your IT department for assistance with this installation. If you don't have an IT department, you should be able to change your user account in Windows by going to Control Panel → User Accounts → Change account → Change my account type. NOTE: Uninstall any previous version of GreenPrint from your computer. To uninstall GreenPrint, go to Start → All Programs → GreenPrint → Uninstall GreenPrint. Restart your computer after uninstall is completed. If you experience any trouble with un-installation, contact support@printgreener.com for assistance. Download the GreenPrint Xerox® Solid Ink Edition and save it to your desktop. Double click on the installer to start installation and follow the on-screen instructions. After installation completes successfully you will notice that you have a new printer called GreenPrint. 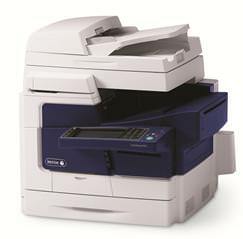 You can print from the GreenPrint printer to any Xerox® Solid Ink device installed on your computer. PLEASE NOTE: The first time you print to the GreenPrint printer after installation or restart, it may take some time for the preview to appear. Subsequent print jobs will appear much more quickly. This delay is normal and is due to the Microsoft .NET Framework. Identify users who meet the operating system requirements and have Microsoft .NET Framework 3.5 SP1. If .NET 3.5 SP1 is not present, deploy it prior to GreenPrint installation. Ensure that any previous versions of GreenPrint have been removed from the systems on your network. Download the GreenPrint Xerox® Solid Ink Edition .msi installation package. Notify users that GreenPrint has been installed and direct them to GreenPrint's support page to watch the GreenPrint tutorial videos. Instruct users that printing through GreenPrint will only allow output to Xerox® Solid Ink devices. To print to other devices (Xerox® or other manufacturers), bypass the GreenPrint printer from the print dialog box within the originating application. Got a question? See if we have already answered! What are the compatible applications? GreenPrint should work with any application from which you can normally print. If you come across a problematic application, please contact support@printgreener.com and provide a detailed description as well as the problem document possibly. What should I do if I previously received a free copy of GreenPrint Enterprise with my 8860 or 8560 purchase? If you previously received a free GreenPrint license with your Phaser 8860 or 8560 purchase, please be sure to uninstall and then install the new GreenPrint Xerox® Solid Ink version. Unlike your old GreenPrint license, the new edition can be installed on all of the computers in your organization using your Xerox® Solid Ink device and does not require a license key. To set the Xerox® Solid Ink device that GreenPrint will print to by default, go to Start > Control Panel > Printers & Faxes (or just Printers in Vista), right click on the GreenPrint printer and go to Printing Preferences, then under Target Printer choose the device that you print to the most often with GreenPrint. Hit Apply and OK. If you have more than one Xerox® Solid Ink device, and you'd like to change the output printer for an individual print job, but don't want to change your default setting, you should do this by going to File > Print within the application you're using (Word, Firefox, etc.). On the print dialog box make sure GreenPrint is selected as the printer, then click on the Properties/Preferences button, and select the target printer there. This setting will only apply for that session within the specific application you're using. What does the error message "An unexpected error occurred" mean? Send an email to support@printgreener.com. Attach all the GreenPrint log files (extension with .elr) in your email. Click on attach file on your email program. Go to the Start menu → My Computer → C → Documents and Settings → All Users → Application Data → GreenPrint → Logs (In Vista: Computer → C → Program Data → GreenPrint → Logs). If you are not able to access this folder, it may be hidden by Windows. Change the setting by visiting to Control Panel → Folder Options → View → Hidden Files and Folders → Show hidden files and folders. Let us know at what point the error occurred (during/after the preview) and what document you were printing. We will get in touch with you within 24 hours. Unless it's over the weekend, then it will be first thing Monday. Is the GreenPrint for Xerox available in multiple languages? If you don't see your question here, email us at support@printgreener.com. Download documentation for GreenPrint for Xerox customers. You can reach us at support@printgreener.com. Your email will be addressed within 24 hours if received Monday through Friday (9-5 Pacific Time), and first thing Monday if received over the weekend. If you're having a problem with your Xerox® Solid Ink device, please visit the Xerox Support website. If you'd like to upgrade from the GreenPrint Xerox® Solid Ink Edition so that you can use GreenPrint with any printer in your office, Please contact us at sales@printgreener.com. For Xerox press and media inquiries, please visit to xerox website. http://www.xerox.com. All rights reserved. Xerox® and the sphere of connectivity design are trademarks of Xerox Corporation in the US and/or other countries.